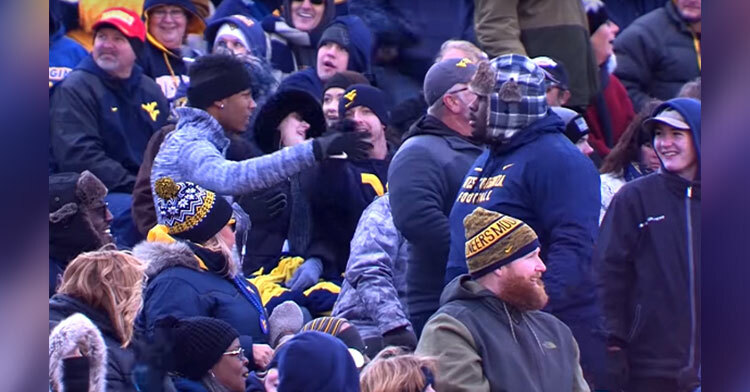 Guy Bumps Into “Stranger” At Game & They Steal Spotlight With Hysterical Dance-Off. When it comes to getting on the JumboTron at a sporting event, it’s best if you go big or go home. 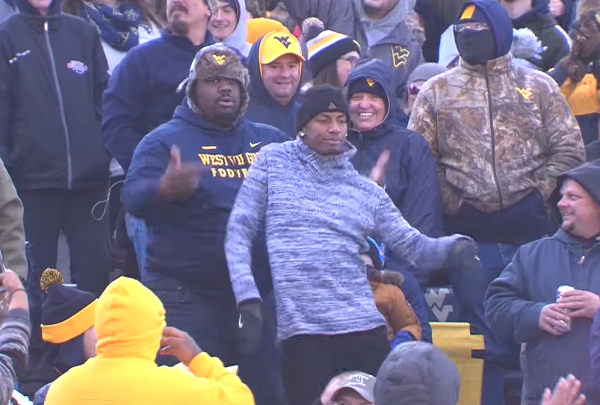 At the Saturday night football game at West Virginia University, the dance cam got “a little lit” thanks to two good friends who staged an elaborate dance-off. 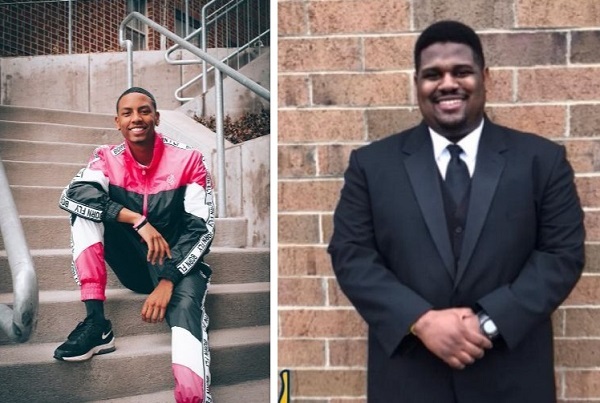 Anderson Small is a student at WVU studying broadcast journalism; his friend Charles E. Hayes is a recent graduate and works as a special education teacher. In the now-viral clip, Anderson and Charles pretend not to know one another as they mingle in the crowd. 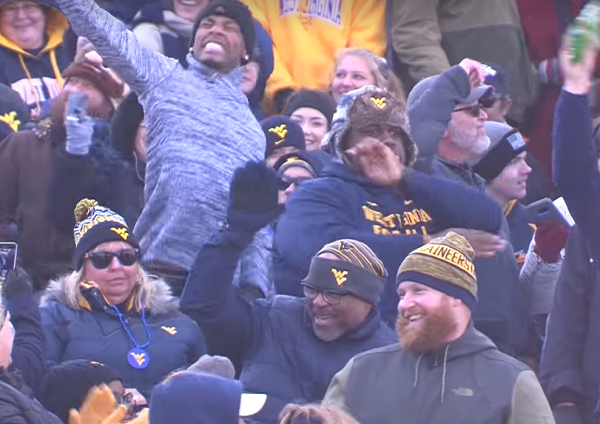 Surrounded by a sea of WVU blue and gold, the camera focuses first on Charles as he boogies in the aisle to the pounding dance music playing in the stadium. Suddenly, along comes Anderson, who seems totally unimpressed with Charles’s dance moves, bumping into him as he walks past. The two pretend to have a quick, wordless brawl before they launch into a new dance together. The people around them are all grinning from ear to ear as they watch the action unfold on the stadium’s giant dance-cam. The two men proceed to have an epic, albeit faux dance-off, much to the delight of all around them. They’ve both got some great moves, and it’s impossible not to smile as you watch their mock-serious facial expressions. The video is short, but such a fun glimpse into what appears to be a great friendship between two funny guys. 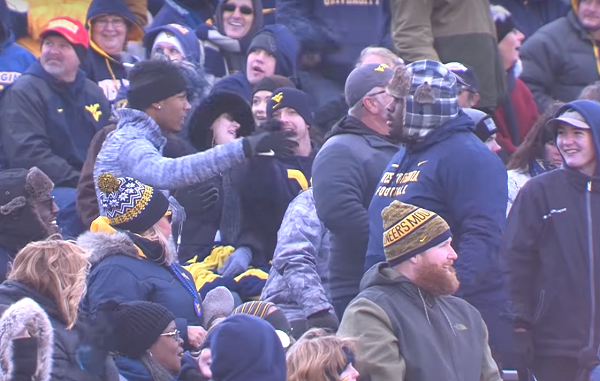 After the WVU football page shared the clip on Facebook, things got even more interesting as the video went viral around the web. They both seem to be having a good time accepting the accolades of strangers who can’t get enough of this silly dance-off! Watch Anderson and Charles in action below, and don’t forget to share to brighten someone’s day today.